This adapter provides an in-system reprogrammable ROM, ideal for BIOS development. Ideal for BIOS development work – see wiki page. This board provides a 32 or 64KB ROM via a flash chip, which can be (re)programmed a practically limitless number of times directly within the host PC – no EPROM programmer is needed. 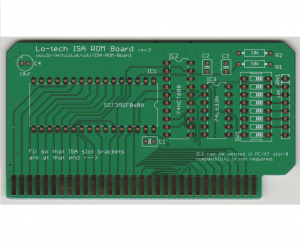 The board can be used to store any ROM image (or images) in any PC with an ISA slot. Base address is selectable between 8000h and F800h and configuration as either 32KB or 64KB. 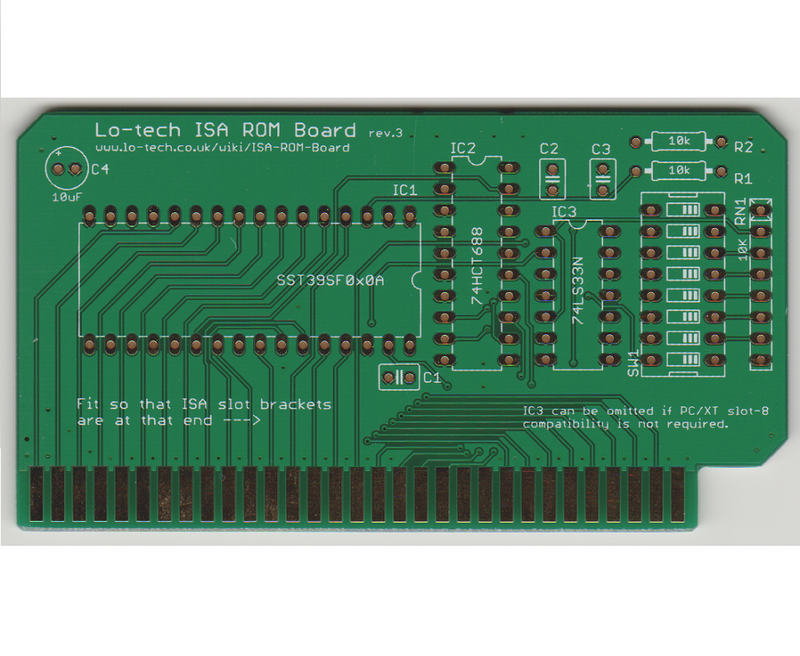 This board has recently been updated to rev.3, and now works in IBM PC/XT slot 8. ENIG finish. Easy assembly – all through-hole design. Note: PCB only.